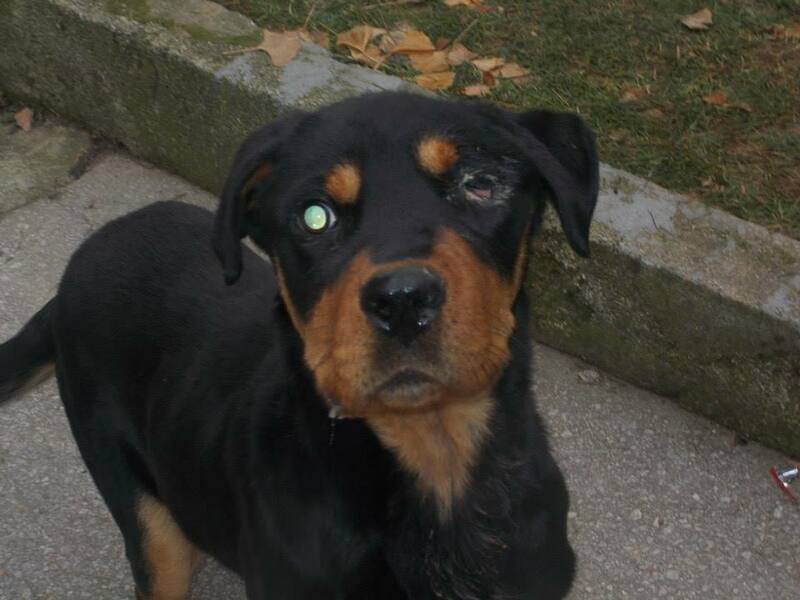 SAVING HERO, HALF BLIND ROTTWEILER LEFT TO DIE! 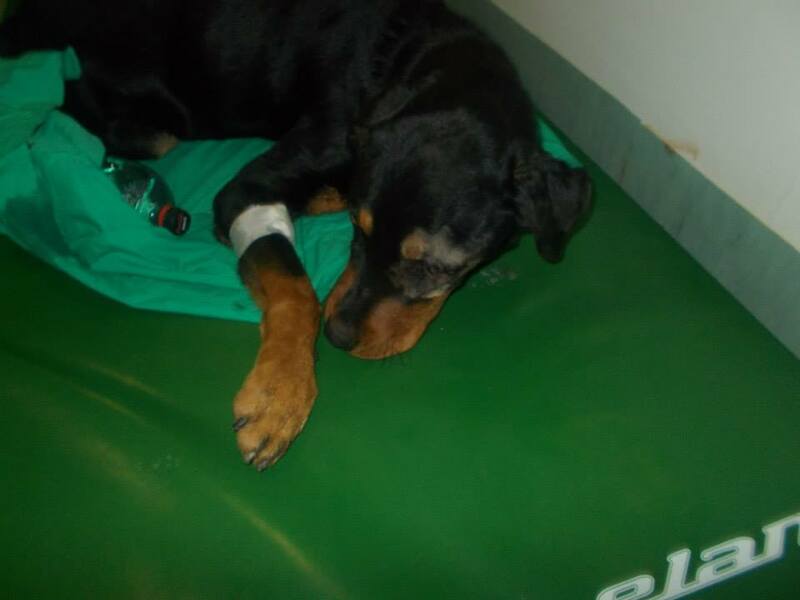 On the 21st Andjeo Sarajevo, animal rescue organisation in Sarajevo, Bosnia Herzegovina, got a call for help. 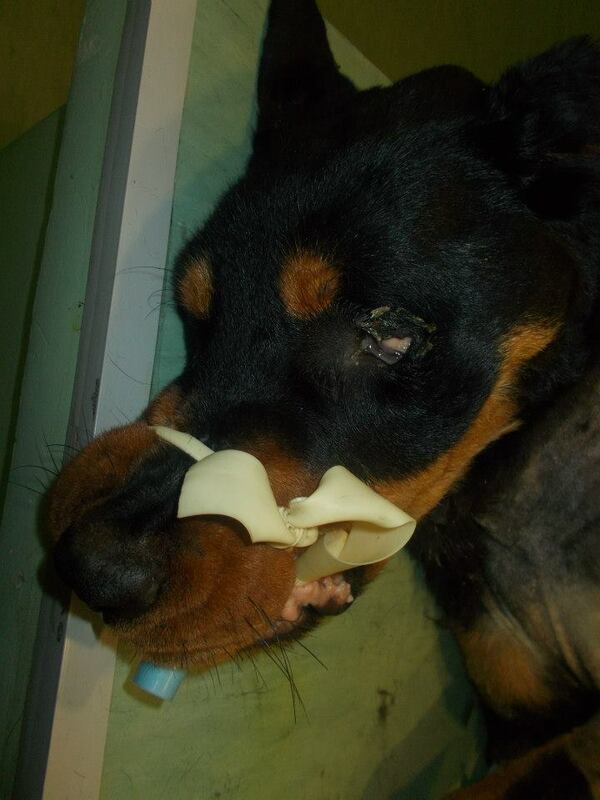 It was about a Rottweiler who had been lying on the ground for 10 days with an open leg fracture infected with septicemia, and in addition the dog had an infected, missing eye. 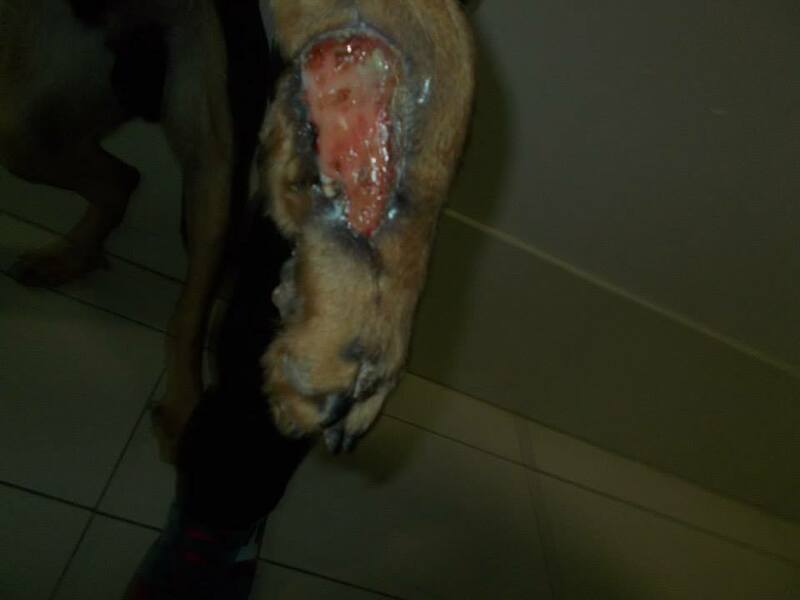 It was very hard for Andjeo Sarajevo find the location where the dog was, because it was dark, it was a secluded place and there was thick fog, but Andjeo Sarajevo succeeded. When they arrived people crowded around and told them they called the vet’s surgery and several animal organisations, who told them they would come but no one ever came. 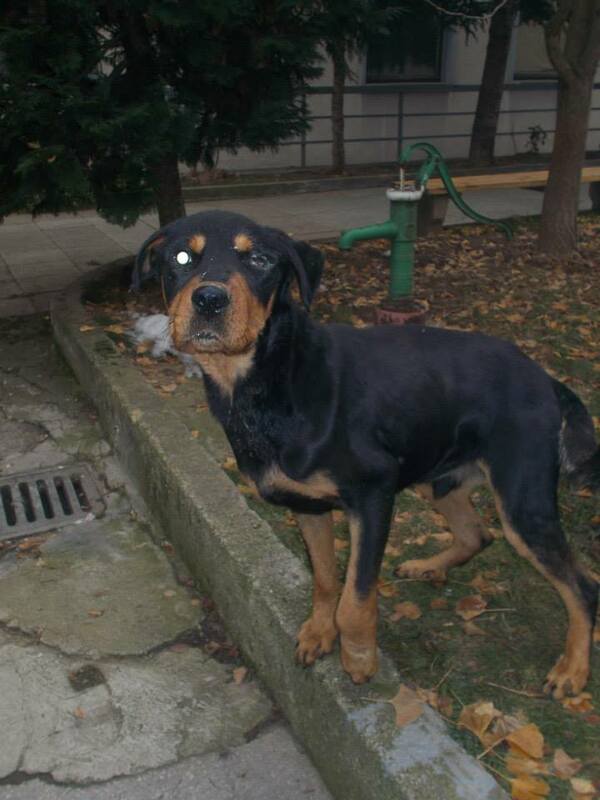 The dog was very friendly, lovely and full of love, full of enthusiasm for life, a pure bred Rottweiler. 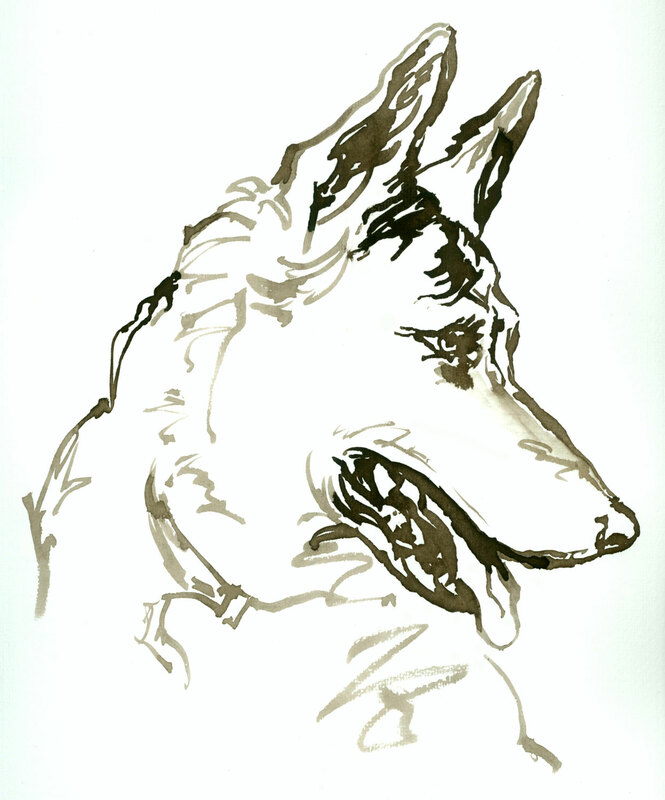 Apart from his blindness in one eye, the front leg looked and smelled very bad. It seemed clear the leg would have to be amputated. He was absolutely starving, he ate 2 big cans of food and half a kilo of crunchy food. Miska Oksanen from Finland, who has been working closely with our group AWAB (Animal Welfare Advocates for Bosnia-Herzegovina) and with Andjeo Sarajevo named this beautiful boy HERO. Please send all your love and healing energy to make sure he continues to get better. Also funds are needed for his surgery and for his after care in pension. 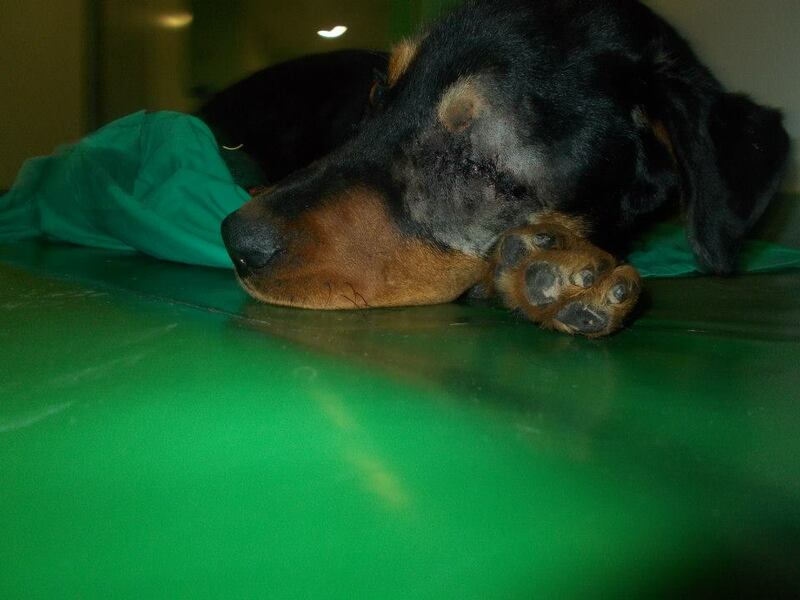 At the moment costs are 250 euros for his surgery but we don’t know what the full costs are or what he will need. Pension is 120 per month – he will need lots of high quality food and vitamins, and ultimately, a really wonderful home. If you think you can offer him a home, please email us at info@awabosnia.org. Details of how to donate are below, please make sure you mark your donation for ‘Hero’. There are, of course, numerous other dogs and cats in dire straights right now, so any donation for them too is much appreciated. For example, Jela, an elderly lady who takes care of many stray cats, has no heating in her house and winters are terrible in Sarajevo. The cats are getting sick with flu and we hope to raise money to help with heating bills and vet treatment for the cats. If you can help. please mark your donation for ‘Jela’. 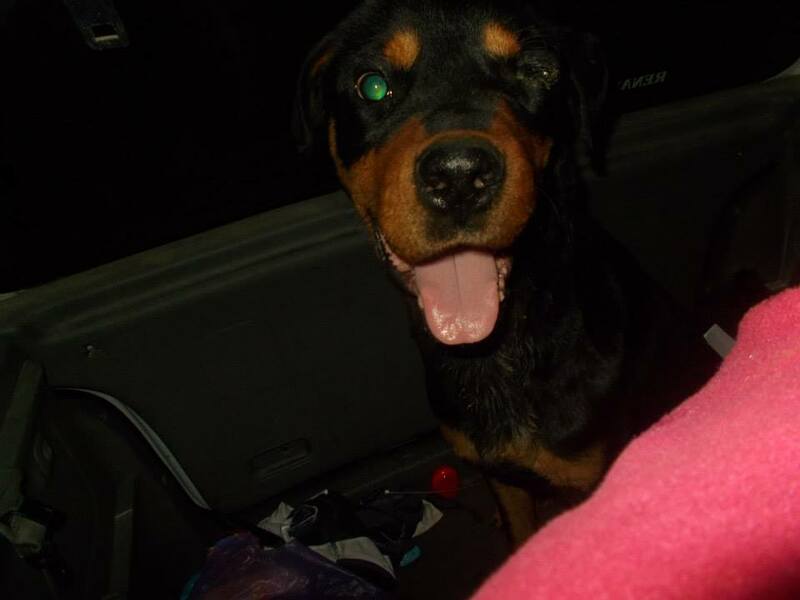 This entry was posted in Dogs needing home, Fundraising, Urgent - dogs needing help and tagged Rottweiler by Sandra Jensen. Bookmark the permalink. If you scroll down to the bottom of the page you should see the Facebook share this link, Elaine. Thank you! Thank you to the people who rescued and saved this beautiful dog! I hope he finds a wonderful home really soon!